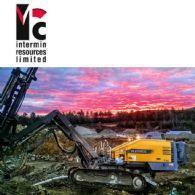 Intermin Resources Limited ( ASX:IRC ) is a gold exploration and mining company focussed on the Kalgoorlie and Menzies areas of Western Australia which are host to some of Australia's richest gold deposits. The Company is developing a mining pipeline of projects to generate cash and self-fund aggressive exploration, mine developments and further acquisitions. The Teal gold mine has been recently completed.